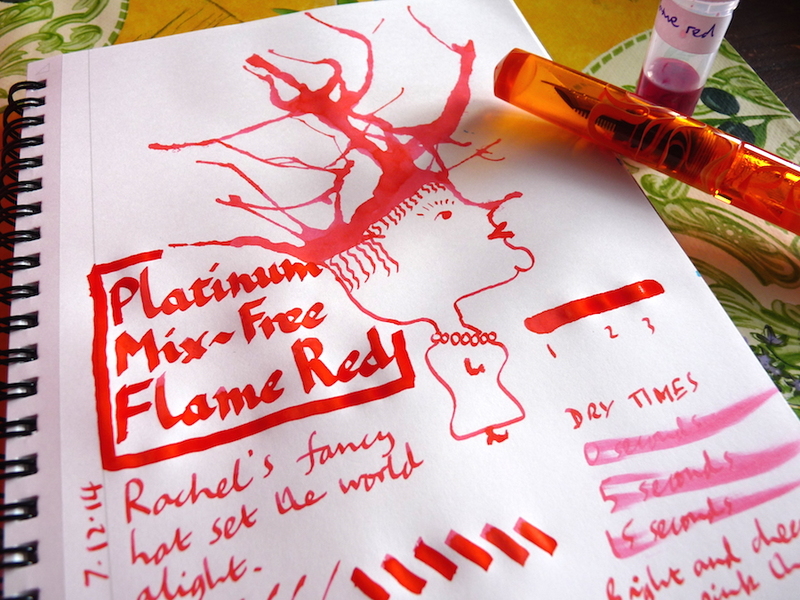 Platinum Mix-Free Flame Red ink review – Pens! Paper! Pencils! 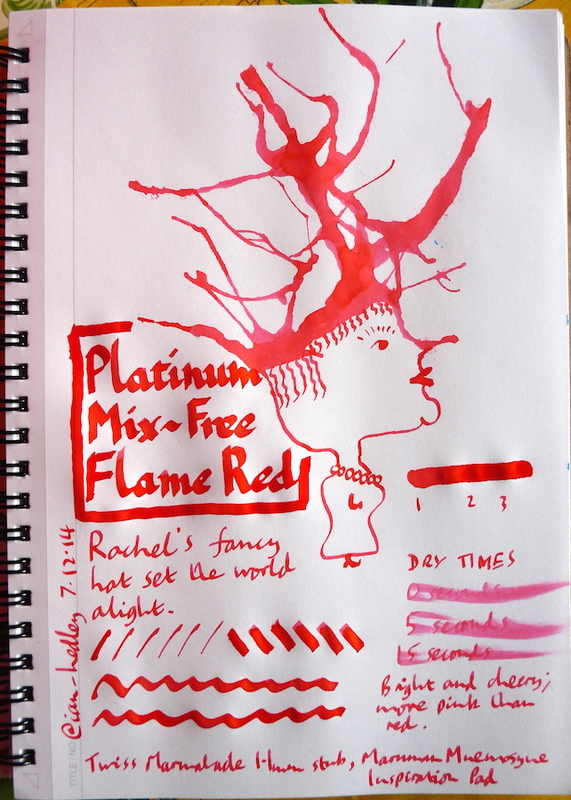 Another sample from the wonderful Azizah, this time a colour I thought was rather Christmassy. This is a pinky red to my eye. Bright and cheery just like Gourmet Pens!